After what seems like months of rain it was time for our annual river clean up. Despite the dreadful forecast we welcomed some regular volunteers, together with 4 new comers, all kitted out in their wet weather gear and ready for action. The Garw River was running high and fast so it was too dangerous to get into the water, but it also seems to have washed most of the debris down stream. Click here for details on the event and how to book your place. 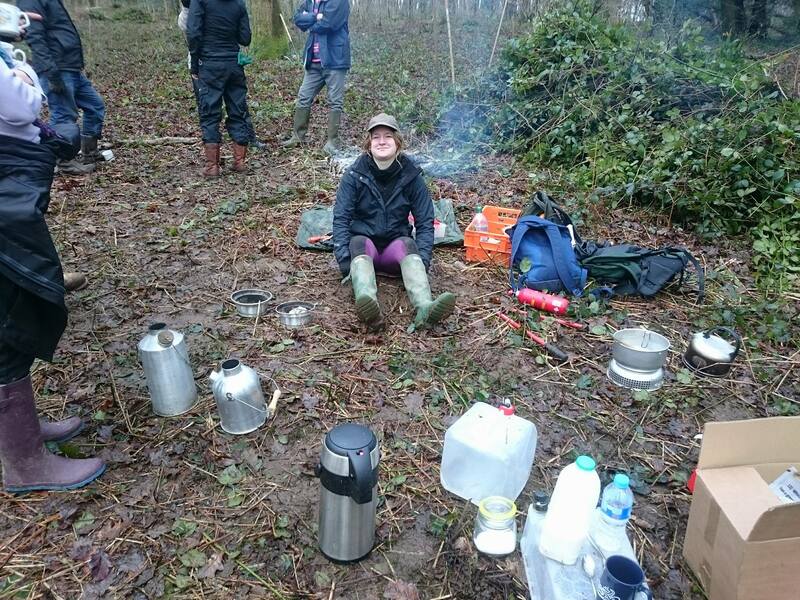 This entry was posted in Volunteering at Bryngarw Park on April 7, 2018 by Leighbgb. 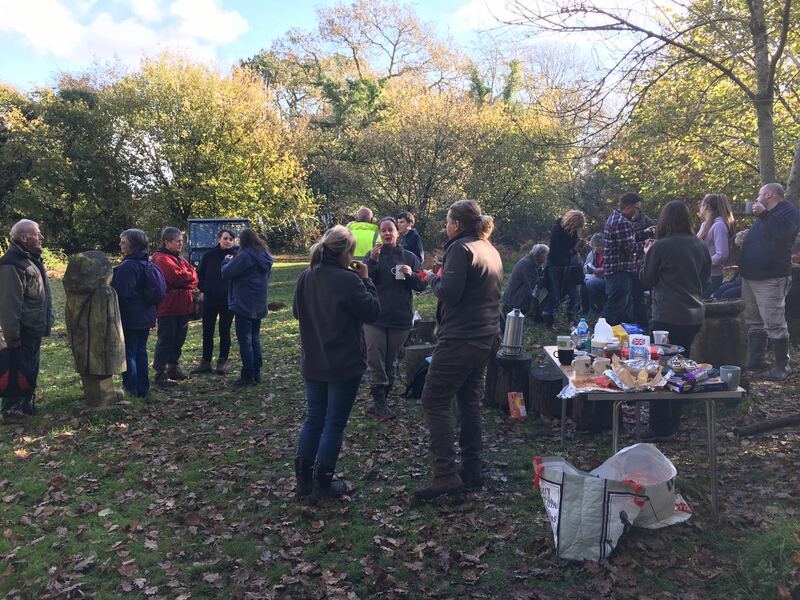 An amazing turn out today for our bramble clearance in Kensington Woods. The UK’s woodlands are home to almost 50% of the world’s population of the native bluebell (Hyacinthoides non-scripta). With their unique scent and very delicate flowers, bluebells are an iconic feature of Bryngarw in springtime. Cutting back the bramble and scrub will allow in the all-important sunlight, allowing the bluebells to spread and flourish. Thanks to everyone that turned out despite the terrible weather forecast. A warm welcome to a few new volunteers too. 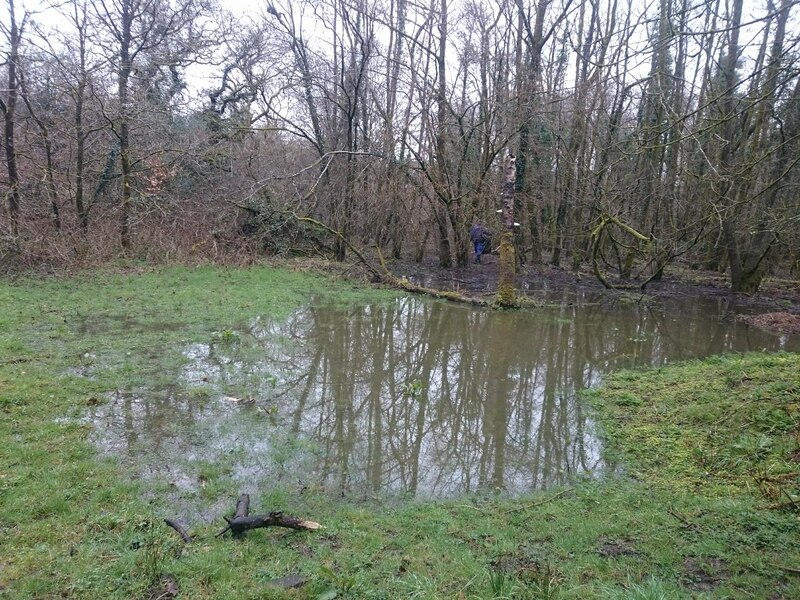 This entry was posted in Volunteering at Bryngarw Park on February 3, 2018 by Leighbgb. We are delighted to announce we have bagged another £1000 from Tesco’s Bags of Help community grant scheme. Thank you to everyone that voted in Maesteg’s Tesco store. We are thrilled at our success in being awarded the money and work will now begin on bringing this latest project to life. 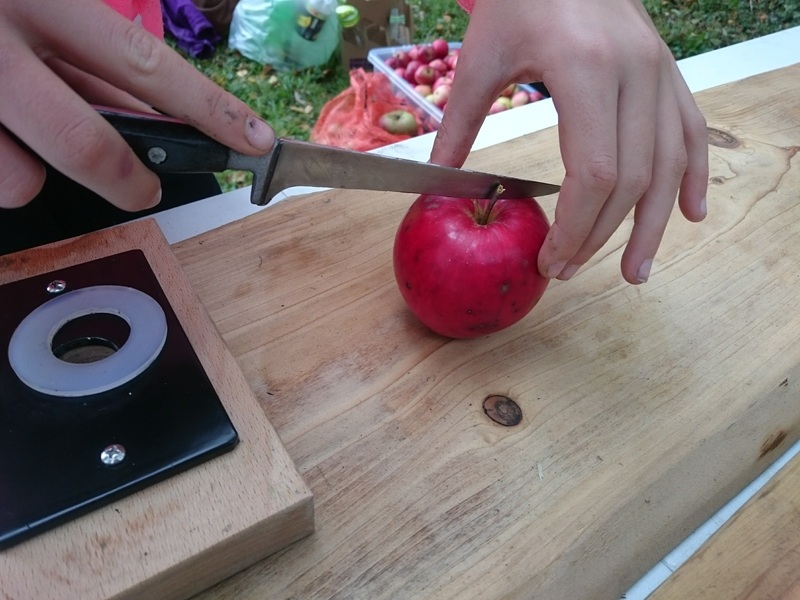 This funding will allow us to train volunteers in the traditional rural skill of cleft fencing to complete improvements to Bryngarw’s Orchard and Woodland Garden plus purchase equipment for an annual apple pressing community event. Our previous successful bid to Tesco’s Bags of Help scheme in 2016/17 allowed us to transform these two underused and undervalued areas of the park. This funding will enable us to complete this amazing work by creating a beautiful, rustic boundary fence. 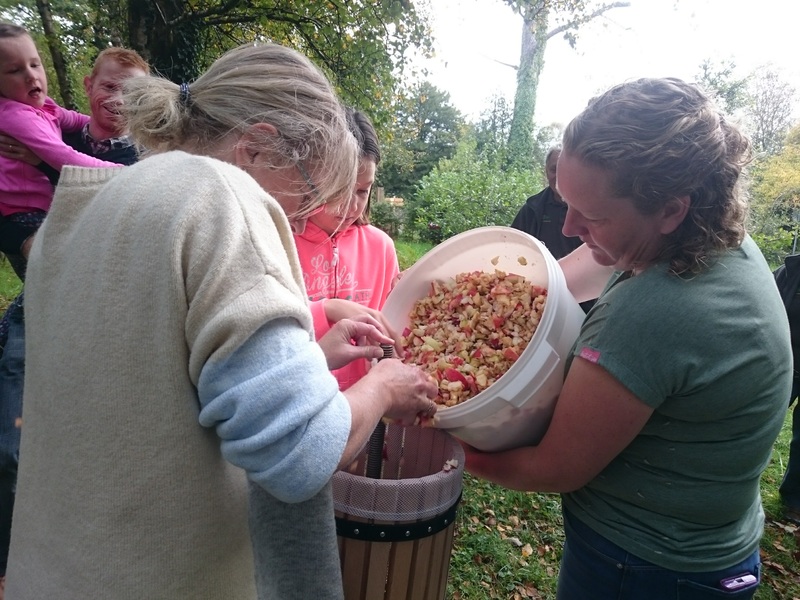 The apple pressing equipment will allow us to hold annual seasonal events here for the local community to engage with and help get the most from these transformed areas. Tesco’s Bags of Help enables local communities up and down the UK to improve the local spaces and places that matter to them. The diversity of projects that are being funded shows that local communities have a passion to create something great in their area. 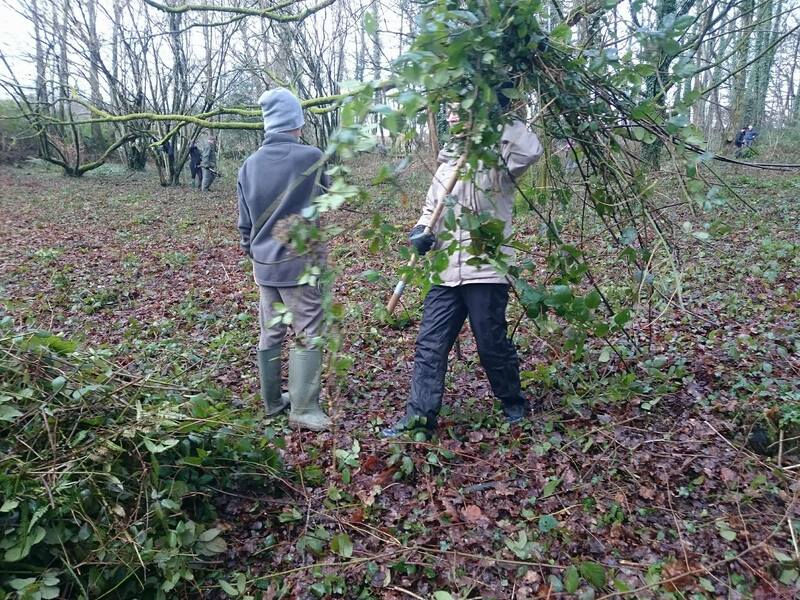 This entry was posted in Volunteering at Bryngarw Park on February 2, 2018 by Leighbgb. 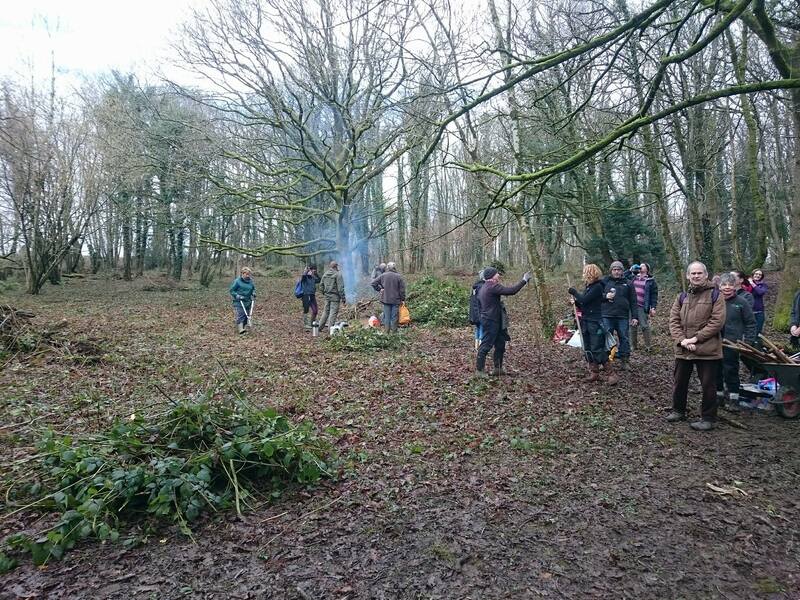 It was a great start to the New Year and following a brief AGM we got to work in the Rhos Pasture. This wet meadow area is a haven for small mammals, hunting owls, buzzards and lots of other wildlife. 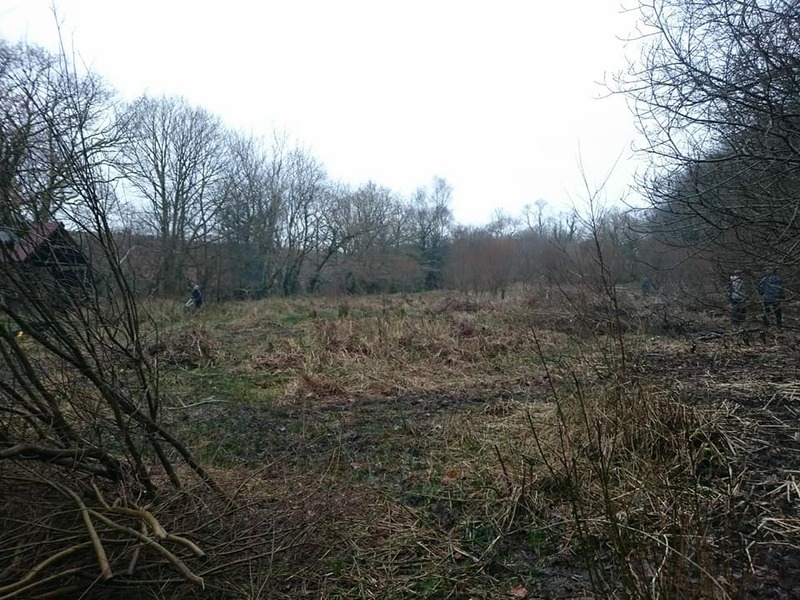 To keep this important grassland habitat in good condition, the willow and bramble must be cut back and removed. 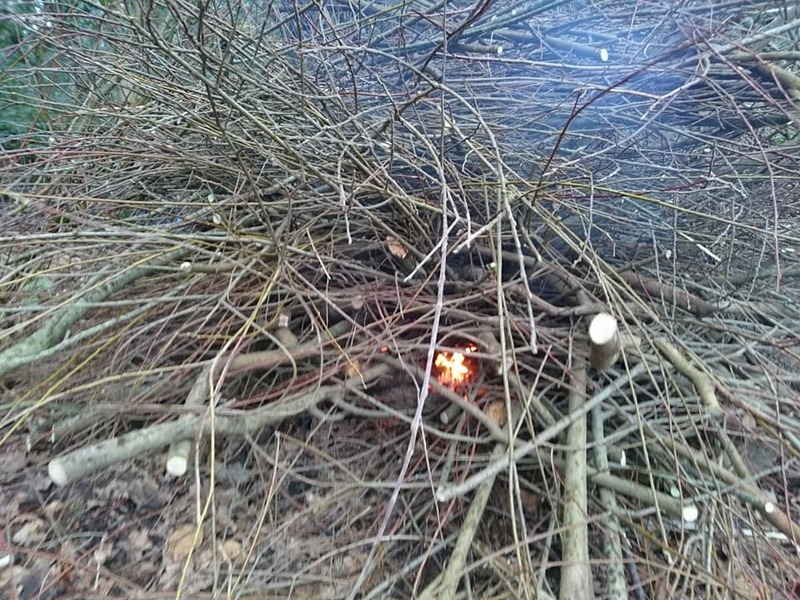 The damp ground and grey skies made the fire lighting a challenge in this sheltered spot. 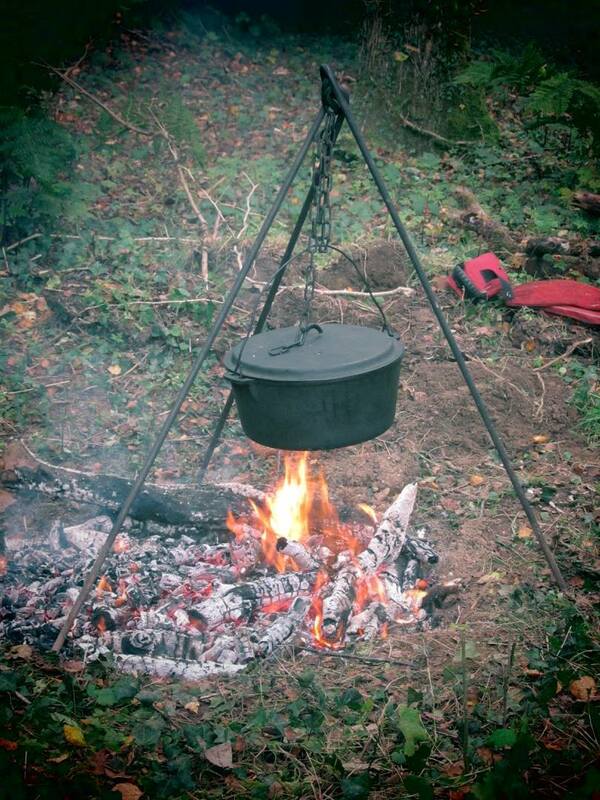 Chris did a sterling job and got the kelly kettles going for a cuppa. 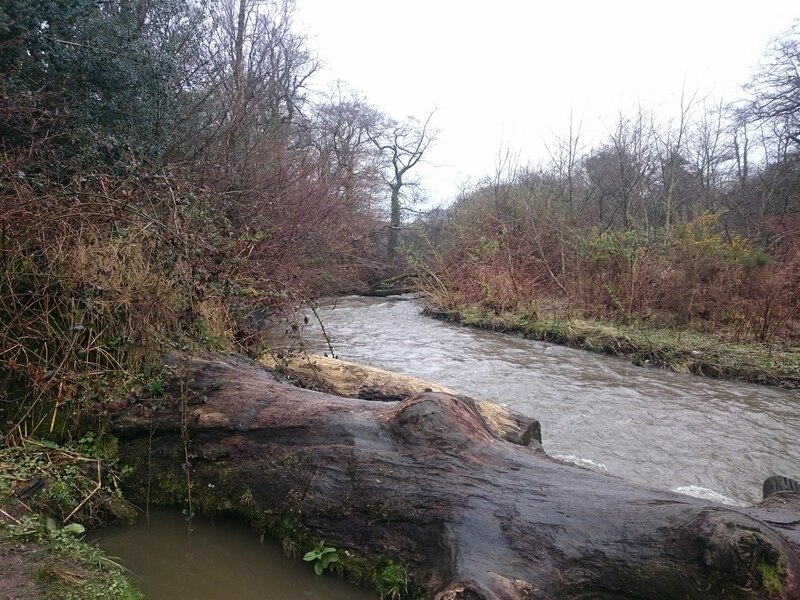 This entry was posted in Volunteering at Bryngarw Park on January 13, 2018 by Leighbgb. Please Vote For Us – Every Little Helps! We are very proud to be nominated as one of the 3 Tesco Bags of Help projects that have been put forward for the public vote. We are now asking for your help to shop in the store and vote for our project. Please make sure you spread the word to your family and friends too. in the Tesco Maesteg Superstore. A previous successful bid to Tescos Bags of Help scheme in 2016/17 allowed us to transform two underused and undervalued areas of Bryngarw Park. We have now submitted a bid for funding to complete the amazing work already undertaken by creating a beautiful, rustic boundary fence. The traditional method of ‘cleft fencing’, will complement the new entranceways to the Orchard and Woodland Garden and complete the improvements to these areas. We aim to use timber sourced from the park itself for the fencing and training our volunteers in this traditional woodland craft. As well as imparting new rural skills to our volunteers, this will also become a sustainable way to create more natural and robust fencing around the park in future. As members of Llais y Goedwig community woodland group, we visited Penllergare Valley Woods who use this traditional method of fencing to great effect. We aim to invite other groups to visit us and learn from our experience, ensuring a beneficial legacy which continues beyond the life of the project. 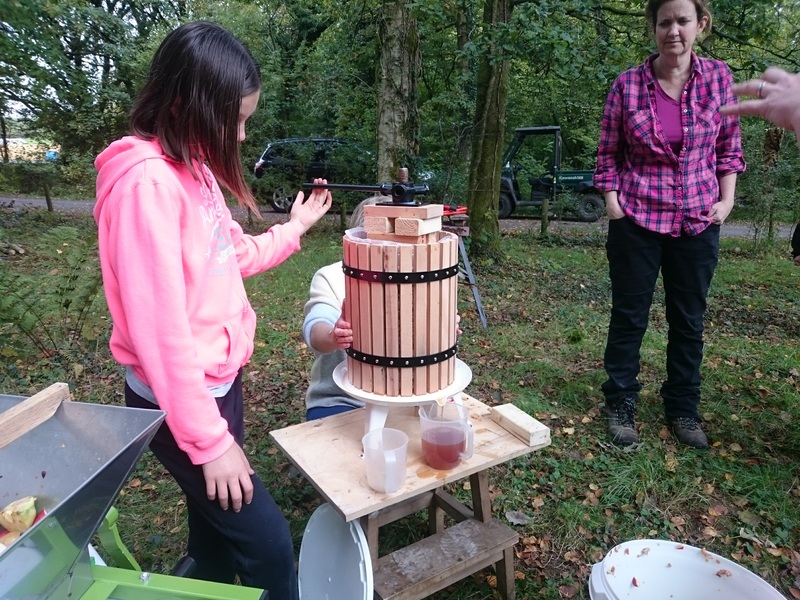 The application also includes funding to purchase our own apple press equipment following the success of our inaugural apple pressing event in the Orchard this Autumn. 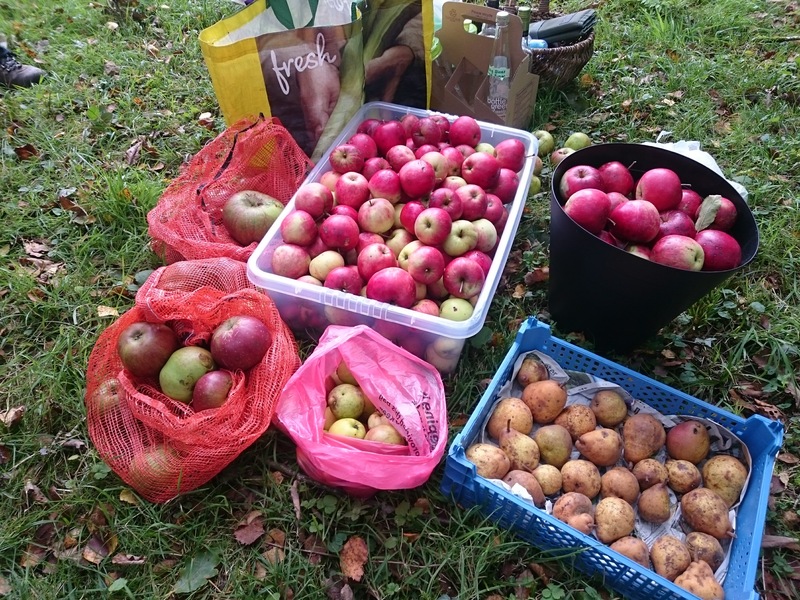 We intend to invite the local community to bring in their apple and pear harvest. Please shop and vote; like and share – Every Little Helps! 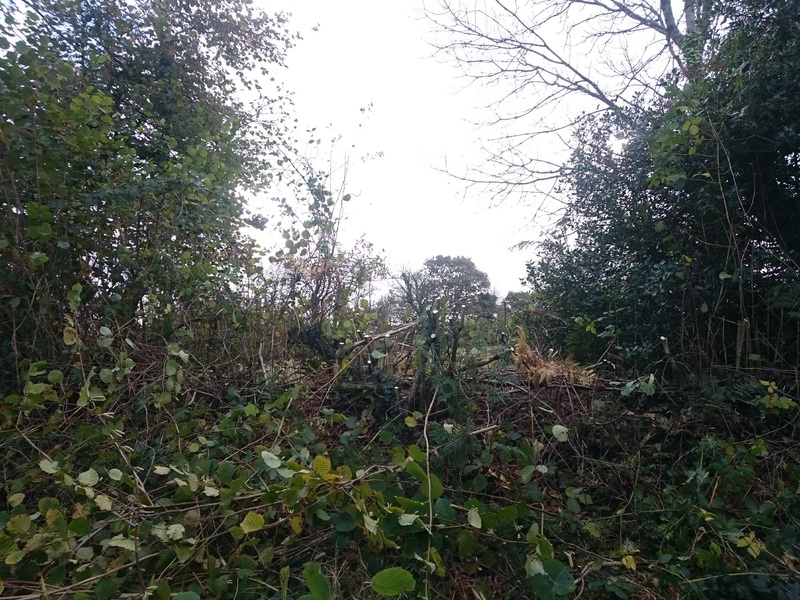 This entry was posted in Volunteering at Bryngarw Park on November 15, 2017 by Leighbgb. 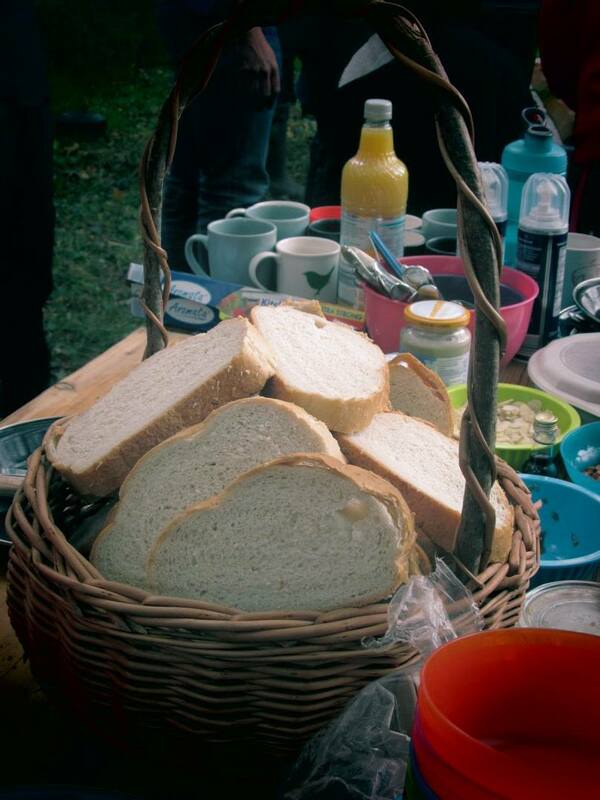 Nature Garden Tidy Up and Cake! We enjoyed some extra help today from the Llynfi Woodland Group. 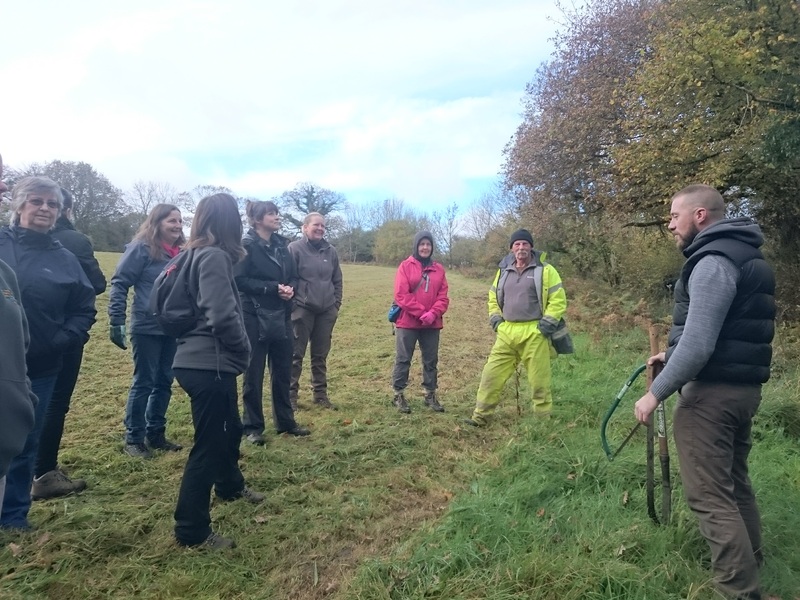 As fellow members of community woodland network Llais-y-Goedwig, this was an excellent chance to meet a like minded group and share experiences and knowledge. We will be heading over the valley to visit them soon and see the work they have done at their site, and also meet the giant Keeper of the Collieries. 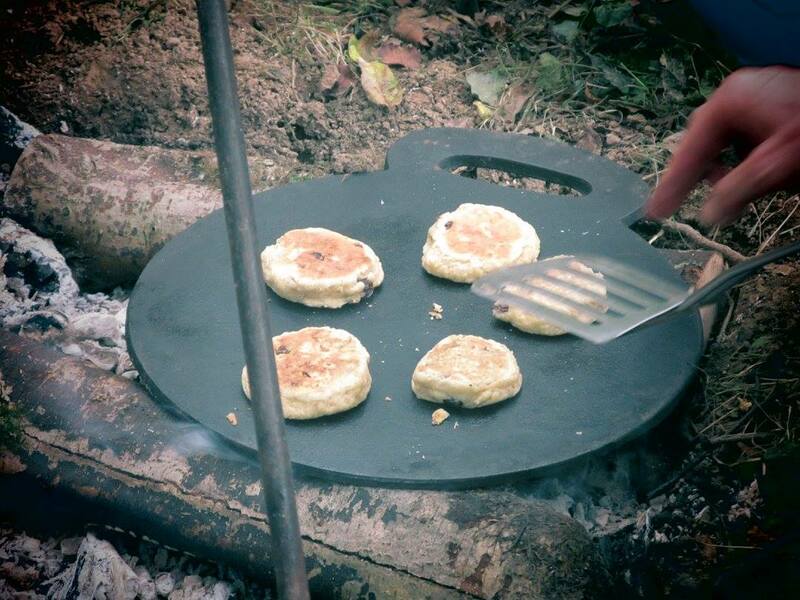 After lunch we enjoyed welsh cakes baked over the fire and copious amounts of tea and cake thanks to the kelly kettle expertise of Sarah and cake maker supremo Sha. As well as cutting back the bramble and scrub, plenty of hazel was trimmed to fill out the walls of the round house, plus providing Wood-Be with various body parts for the Christmas Reindeer that will soon be available to buy. A huge thanks to everyone for all the hard work today. Our next event is Saturday 2nd December when we will be reflecting on another incredible year at Bryngarw and enjoying some mulled wine and mince pies to start the festive celebrations. 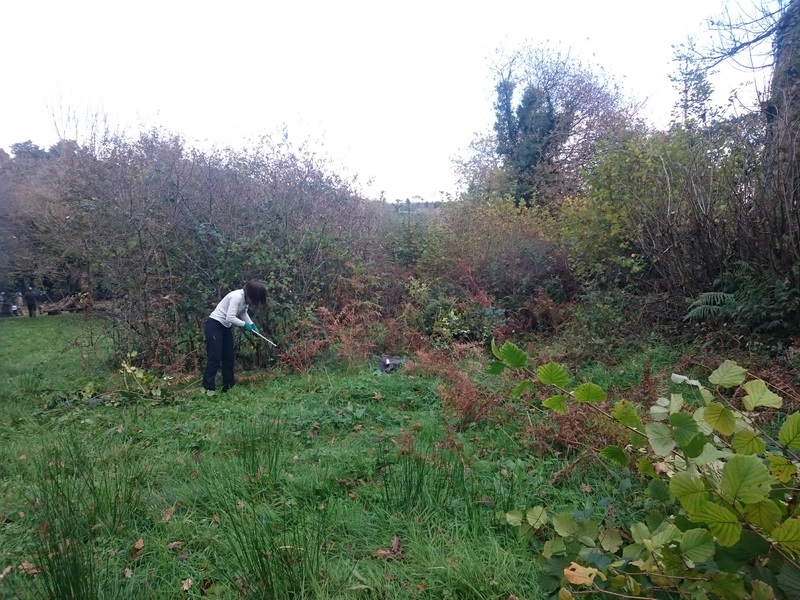 This entry was posted in Volunteering at Bryngarw Park on November 4, 2017 by Leighbgb. 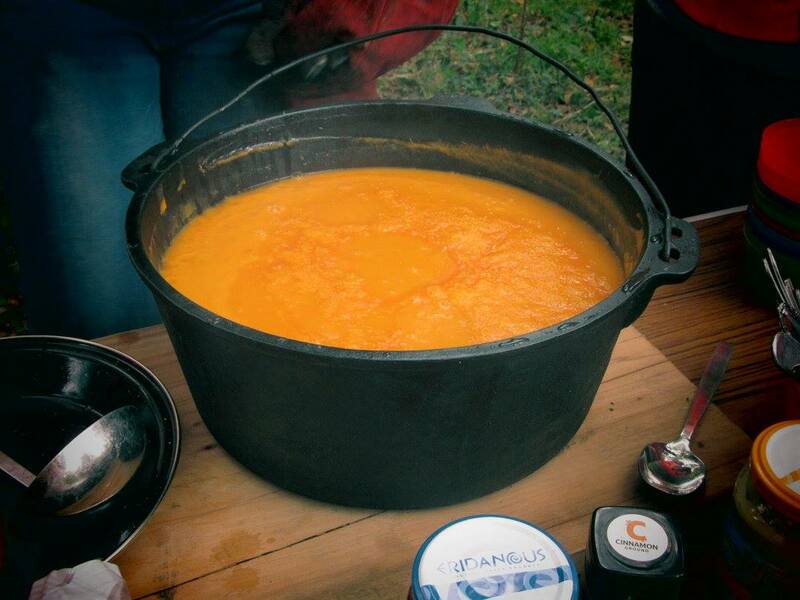 A beautiful Autumn celebration for the volunteers in Bryngarw’s Orchard today. It was the perfect way to greet the season and bring the Bryngarw community together. 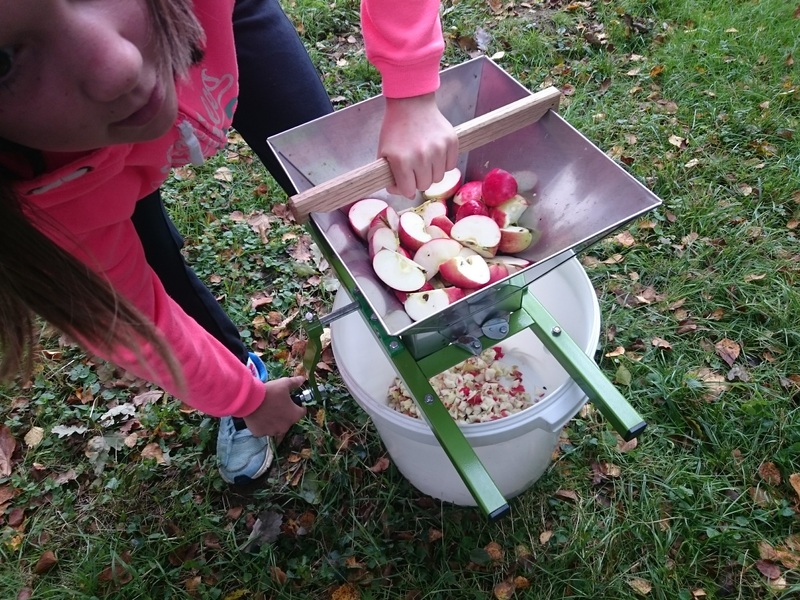 Thanks to the Tescos Bags of Help funding, we had Sasha of Wild Spirit Bushcraft come along to do some campfire cooking for us and an apple pressing workshop. 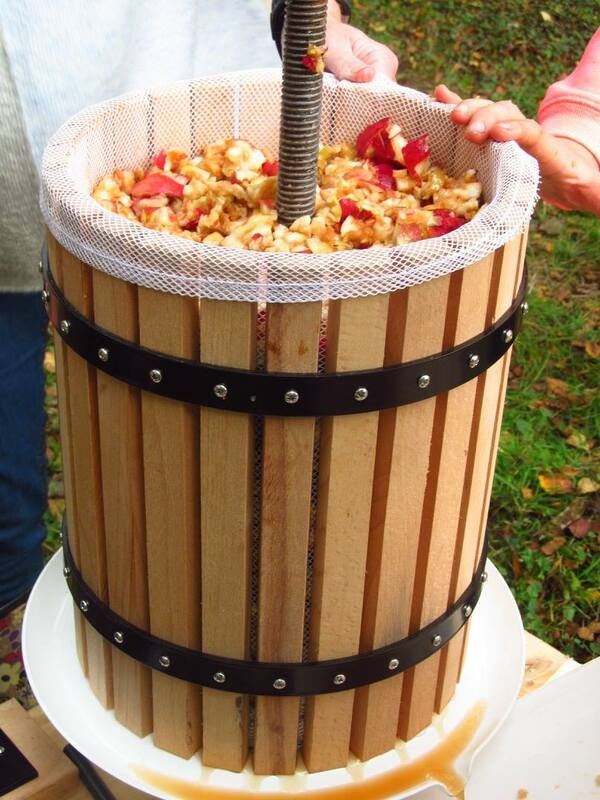 First you start with some apples and we were blessed with a bountiful harvest of sweet apples, cookers and some pears. After the collective hard work of chopping, scratting and pressing we enjoyed a delicious glass of sweet pure apple juice. 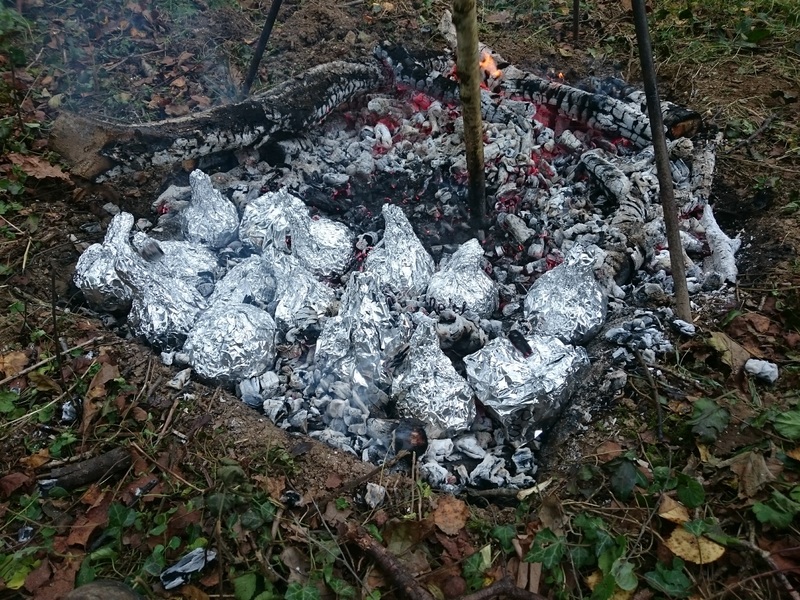 The cookers were cored and filled withe sugar, butter and various toppings, then baked in foil at the edge of the fire. Absolutely delicious. 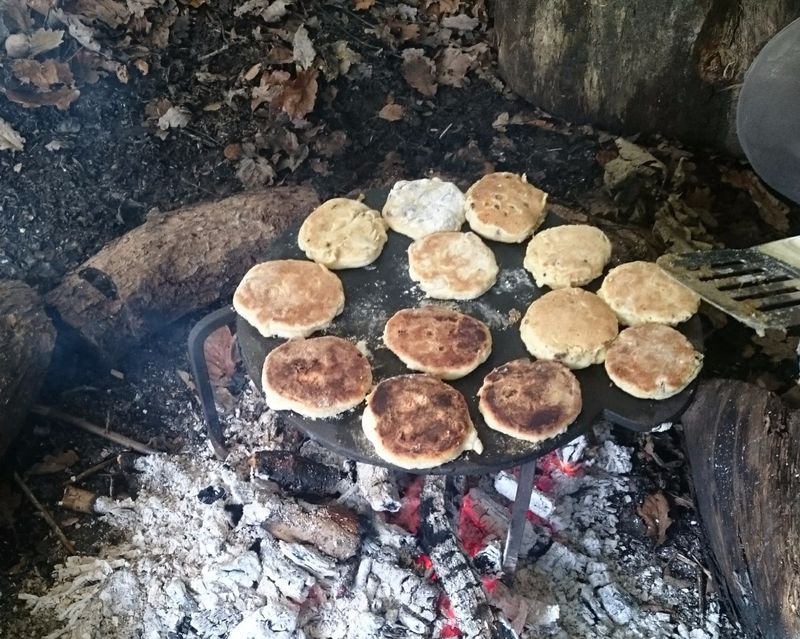 The campfire was the central spot as always and after we enjoyed a wonderful red pepper soup with hunks of crusty bread, the bakestone was heated up for the welsh cakes. The Bags of Help funding has helped us enhance the Orchard and Woodland Garden at Bryngarw Park with sculptures and benches and our latest Bryngarw Keeper – Pomona, Keeper of the Orchard. It has been a lot of hard work but today we quite literally enjoyed the fruits of our labours. Bags of Help is administered by Groundwork. Thanks to Sarah, Sha & Leigh for the photos and everyone for their hard work and support throughout this project. This entry was posted in Volunteering at Bryngarw Park on September 29, 2017 by Leighbgb.